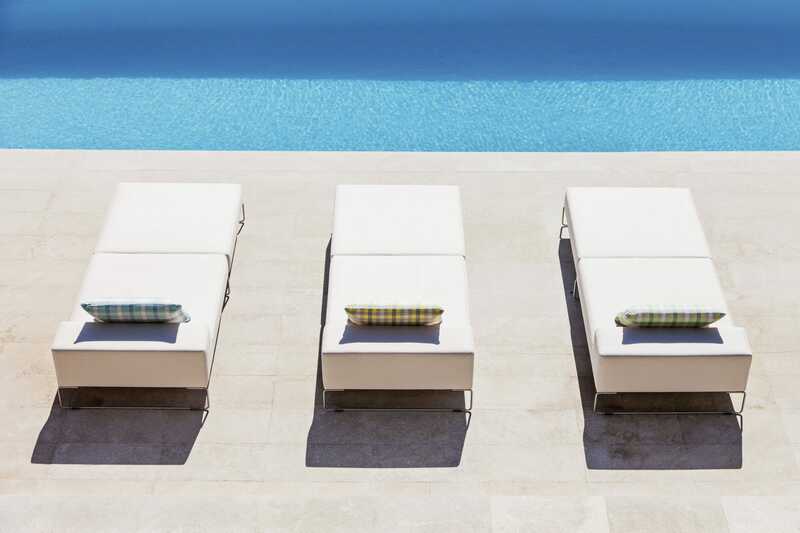 The JAMSTER sun lounger has a modern and minimal design. As an addition to the Outdoor Lounge JAM, the JAMSTER is also distinguished by its comfort. A sunbath for full recuperation. A cushion can be used from the headboard without shifting. The lounger can be freely placed outside as garden furniture during the warm season. The sun lounger should be folded up during the winter and covered. The runners made of robust stainless steel as well as the materials used of the company Sunbrella are testament to high quality.